The order deadline is February 11, 2019. Delivery in mid 2019. The Model is accurately scaled from prototype blueprints and features period-correct detail options including carbody, pantograph and hardware variations, accurate paint and lettering, Ssveral road numbers per paint scheme (where applicable). The model also features full cab interior and is available in New Haven delivery and repaint schemes. Built by General Electric and delivered as numbers 370-379to the New Haven in 1955, the 4,000HP-rated "Jets" were purchased by the Dumaine administration and delivered to the railroad while Patrick B. McGinnis was President. This was the first locomotive to wear a version of the Herbert Matter "New Image" New Haven paint scheme. 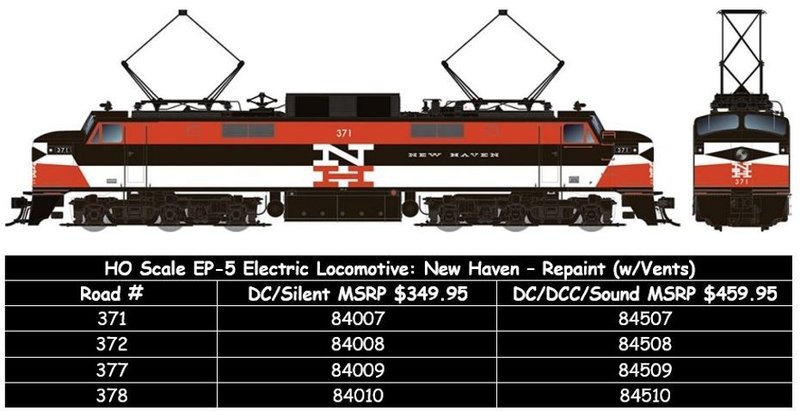 The scheme has gained so much popularity that to this day locomotives operating for the Connecticut Department of Transportation are still adorned in versions of the "New Haven" New Image paint scheme or colors. Rapido is producing a number of variations including one of the experimental yellow/black/white scheme. Both this unit and the delivery red-orange/black/white scheme with large NH nose herald have no carbody vents on the sides which is accurate for the design in which the locomotives were delivered. After delivery, due to internal carbody pressure, two vents were added to each side of the units which solved the problem. In the mid-‘60’s the units were repainted with smaller nose heralds to accommodate a repositioned larger road number stenciled on the nose below the herald except unit 375 which retained the large nose NH until Penn Central years. HO Scale New Haven Alco PA-1 Walthers Mainline Limited Edition Wm. K. Walthers, Inc.. 5601 W. Florist Avenue. Milwaukee, WI 53218-1622. 1-800-4TRAINS (1-800-487-2467) or 1-414-527-0770, (8:00am-4:30pm CST, Monday - Friday). The Walthers model features road-specific details and is available with factory installed USE sound featuring 4 function outputs with brightness control by CV. Fully compatible 14, 28 and 128 speed steps, Dual mode DC and DCC. Five air horns (Wabco single chime default) also including Leslie A-200, Leslie S3L, Leslie S5, and Nathan MS. Two Alco bells changeable by CV. Full 8-notch prime mover sounds and compressor, dynamic brake. 21-pin DCC plug and multiple realistic lighting effects. Equipped with the same drive as Walthers Proto® locos featuring a five-pole skew-wound motor, 14:1 gear ratio, helical-cut gears with all-wheel drive and electrical pick-up, dual machined brass flywheels all packaged in a die-cast heavy metal chassis. The model also features constant LED lighting, factory-installed handrails, RP-25 metal wheels and Proto MAX ™ metal knuckle couplers. There are molded drill starter points for grab irons (separate sale item Alco PA-PB Diesel Detail Kit Walthers 910-252. These were New Haven Class DER-3a, ALCO specification DL-304 and famously known the PA-1. For the New Haven, this class was the successor for the DL-109, arriving on the property from 1948-49. Beginning with road number 0760, right after the last DL-109, the series continued to unit 0786. The single turbocharged 244 was rated at 2,000HP. As these units were displaced from passenger service by the arrival of EMD FL-9's, some operated in freight service until units 0783 and 0784 were retired in October 1965. 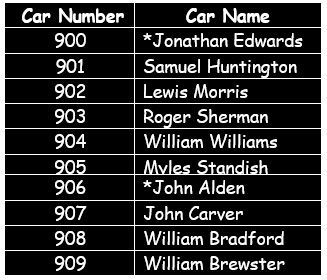 The McGinnis scheme was applied to some units, and I have photos of the offerings except 0779 as early as 1957. My records indicate 0778 was still in delivery colors on 7 June 1959 but in April 1960 it wore the Alpert red and black scheme. This model was first produced in the Life-Like Proto 2000 line which was procured by Walthers when Life Like went out of business. The quality and accuracy should be very good. These units were not equipped with any grab irons until the 1960 FRA rule requirement. The default Wabco horn should be correct for the New Haven. If you model from 1957 to 1960 these units can make a good edition to your roster to pull those Rapido consists outside the electrified zone. After 1960, purchase the Walthers detail kit, add some grabs and run them in freight service. Dual-Mode decoder allows your Atlas Gold Series locomotive to be used on DC as well as on DCC layouts. Sound Functionality: Over 20 sound effects are available, including engine start-up and shutdown, prime mover sounds through all eight notches, bell, air horn, air compressor, dynamic brakes and more, There are 16 user-selectable horns, 2 user-selectable bells, and 2 user-selectable synchronized brake squeals. Manual and Automatic Notching modes with the ability to change modes "on the fly" are provided for true realism. The DERS-2c Alco RS-3 locomotive was the successor to the RS-2 and was delivered in three groups to the New Haven; 517-536 in 1950, 537-546 in 1951 and 547-561 in 1952. All units were 1600hp but the first group was characterized by a solid handrail across the pilots. As on many other railroads, these units performed yeomans work - hauling both freight and passenger consists to the end of the NH. I don’t have any photos in my collection of unit 552 so I cannot comment on the paint scheme. Unit 539 wore the delivery scheme (as the model) until at least 1960. The diagram provided by Atlas shows the original air-cooled stack which is typical for Atlas RS-3 models, but limits use on the New Haven since these were all replaced with water-cooled stacks that were positions cross-wise on the hood. All RS-3 models seem to require some work to improve accuracy. While I prefer the Athearn model, which also has issues, the Atlas model is not a bad starting point, and it’s always great to have a new New Haven model! The order deadline is February 11, 2019. Delivery in mid-2019. Rapido’s model will include Alco small fuel tank for FB-2, With or without dynamic brakes, Vertical or horizontal battery box louvers, Etched metal wire mesh or Farr side grilles, With or without back-up light, Accurate underbody piping and conduit, Canadian or American cast Type B trucks, Separate grab irons and handrails installed at the factory, Incredible underframe detail including piping and a ridiculous number of separately-applied parts, Heavy, die-cast chassis, Rapido’s proven 5-pole skew-wound motor with dual flywheels and silky-smooth drive, DC/Silent (21-pin DCC Ready) or DC/DCC/Sound (ESU LokSound) options, Accurate sounds recorded from a real Alco 244 prime mover, Factory-installed Macdonald-Cartier couplers mounted at the correct height. In November 1951 the New Haven accepted delivery of five additional “B” units built by Alco that were designated Class DER-2c. The units were ordered because the standard “A-B-A” sets of FA’s were no longer sufficient for the heavier freights on the Maybrook Line by this time. The Alco freight “B” unit was now increased to 1600hp and known as the FB-2. These were also longer than the FB-1, with the additional space allowed for installation of a steam generator allowing the unit to be used in passenger service. The New Haven didn’t require this option, so the space was filled with concrete on their units. In 1950 the New Haven dropped the use of a preceding “0”, so these units, numbered above the FB-1’s, became 465-469. Rapido has a robust history of not only producing accurate models, but working closely with NHRHTA to insure the road numbers, paint schemes and equipment details are extremely accurate. Unit 465 remained in McGinnis colors until at least 1964 but was repainted in the Alpert scheme by the time it was assigned a Penn Central roadnumber. Unit 466 was repainted in the Alpert scheme sometime after 1964. If you need 1 or a few FB-2s and have not not ordered them yet, get to it. NOW. ‘nuff said! Accurately designed from original blueprints, Correct tubular cross section, Rapido’s renowned stainless steel finish, Partial skirting or no skirting as appropriate for each scheme, Full and correct interior details including kitchen and detailed tables with cloths, Track-powered constant lighting for DC and DCC, Full underbody details, Operating diaphragms with end gates, Separate grab irons, factory-installed, 61-BNO-11 trucks with blackened metal wheels, 22” minimum radius (18” radius with modification), Macdonald-Cartier metal magnetic knuckle couplers. In July 1949 The New Haven Railroad accepted delivery of 10 stainless steel 48-seat diners built by Pullman Standard as Plan W46613 Lot W6788. The cars were delivered with a Hunters Green window band and script herald plaques on the car side below the windows centered over each truck. 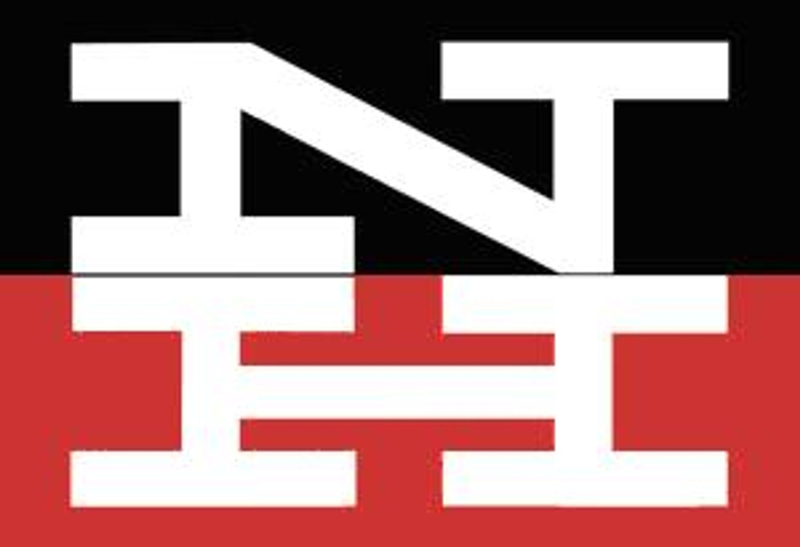 Beginning in 1955 the window band was repainted to red-orange and the herald plaques were turned over, painted black and had a re-orange “NH” herald applied. The 1947 PS-1 body style is new to the Kadee product line-up. This car is Ready to Run and decorated as New Haven 33870 in Boxcar Red paint with a black 7 foot, 7-Panel Door and script herald. Between December 1947 and January 1948 Pullman Standard produced Lot 5882 for the New Haven which became road numbers 33500-33999.This group of cars represented a “big” change in boxcar design for the New Haven as it was their first group of early PS-1 10’6” IH steel boxcars. Unlike the earlier 1937 AAR 10’IH boxcars, these cars were built with P-S proprietary roof and end designs. The cars were all equipped with ASF Ride Control trucks, 7’ 7-panel Superior doors and Apex Tri-Lok running boards. These cars served until the end of the New Haven, many still with black doors (and very poor paint). If you buy these and model after about 1951 or so, you should get some decals to add new reweigh and brake inspection date stencils. In his “Essential Freight Car” series, Ted Culotta who wrote an excellent article in the January 2008 issue of Railroad Model Craftsman describing how to build a model of these cars. Now, Kadee has come to the rescue of many of us less-skilled modelers by providing this model. Thank you, Kadee! Intermountain has confirmed for production a ready to run New Haven 50’ PS-1 boxcar decorated in red-orange carbody, black door and white lettering. The car features a cushioned underframe and the Hydroframe 60 Logo. The Intertek model compares favorably with prototype photos, including the plug door. The lettering, stencil data and paint are correct for this car. It’s very difficult to tell from a product drawing, but this may be the most accurate HO scale model yet and is worth a hard look. 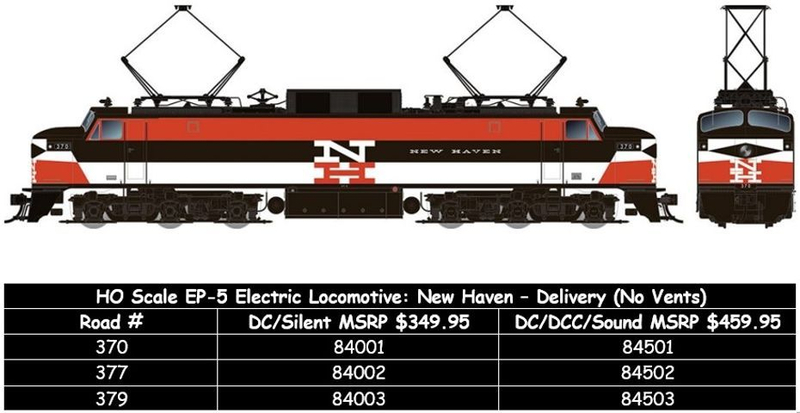 Tichy Train Group has announced decals for New Haven 40’ boxcars in both N and HO scale. One set covers the delivery scheme with white lettering and script herald while the second set is for the Herbert Matter (McGinnis) 40’ box cars that were painted black with red-orange doors. The decal set for this scheme features all white lettering.